As part of this year’s Campaign for Drawing Big Draw, Scene will be hosting an evening of collaborative drawing and entertainment. 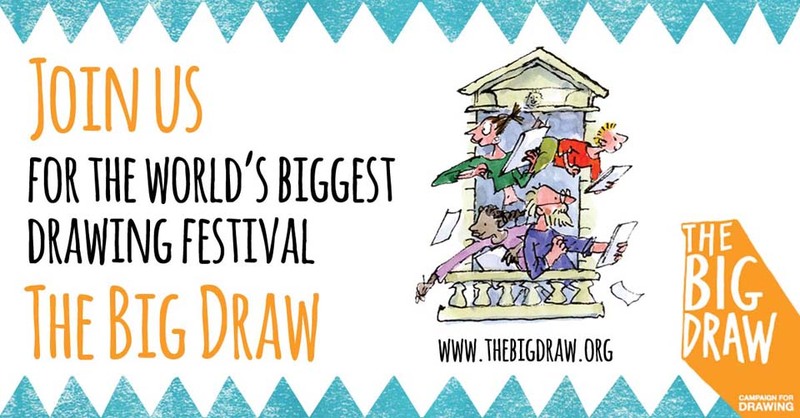 The Big Draw’s theme this year being ‘Every Drawing Tells a Story’, the evening will kick off with a powerful visionary tale of London inspired by Aztec mythology, as told by master storyteller Vanessa Woolf. Vanessa tells stories to both children and adults, using traditional and non-traditional tales; inspired by the history, geography and folklore of London. Guests will then be invited to partake in an intimate supper within the Paved Paradise installation itself: a home which has been dissected, spliced and invaded by nature. This is the threshold between nature and the domestic as a spatial experience; probing the narrative behind art, architecture and design in everyday life. Finally, taking part in creating a collaborative mural, inspired by the evenings happenings and hosted by illustrator Joanna Layla. Book your place at the event now – tickets are limited! Adults only. Friday 9th October, from 7pm, performance starts at 8pm. « Paved Paradise: Coming Soon!